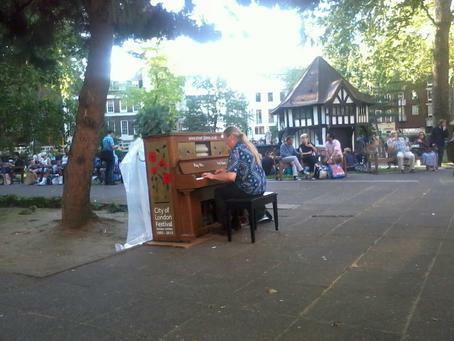 Aleksandra Veliece playing her own composition "Rain" live in SOHO square. 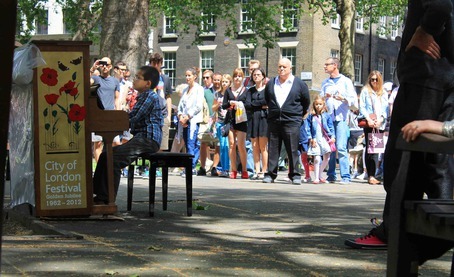 What a pleasure to listen to "Song for Guy" in Soho Square on a Friday afternoon. 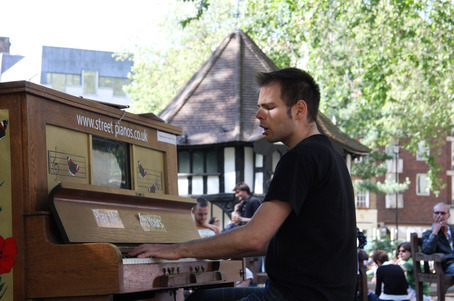 I hung out at Soho Square yesterday for Pride and my goodness did this piano see a lot of action! I don't think it was ever unused! Amazing, the power of music to draw people out. Cool vibes in Soho Square! I like to play piano here, there is a great ping-pong table in the gardens too! Audience at Soho Square Today was awesome!grats again to groom and bride :) thank u london for that possibility!